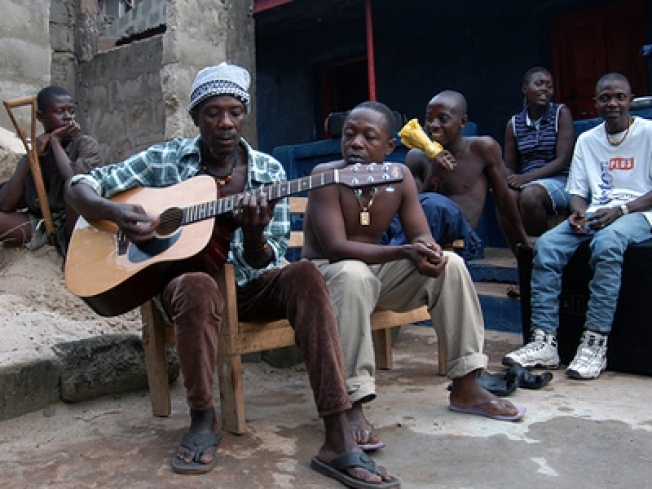 Sierra Leone’s Refugee All Stars. SING OUT: Sierra Leone’s Refugee All Stars didn’t just adopt that name because it sounded cool—they literally met in a refugee camp in Guinea after fleeing wartorn Sierra Leone. Now they ply catchy reggaepop with nods to early dancehall, the whole sound wrapped up in a heady survivalist spirit. Highline Ballroom,8PM. TOTAL BLAST: War is a collective and personal nightmare, but can it also be hilarious? Anthony Swofford’s “Jarhead” (and the movie it inspired) and Joel Chasnoff’s “The 188th Crybaby Brigade: A Skinny Jewish Kid from Chicago Fights Hezbollah” both find humor in the midst of its horror. These two authors/ex-soldiers and with Esquire editor A,J, Jacobs discuss the culture of modern war at 92Y. War Is (Funny as) Hell is at 7:30PM. WHO’S ON FIRST: In anticipation of the April 17 BBC America premiere of the new “Doctor Who,” join lead writer and exec producer Steven Moffat, new doc Matt Smith and his eye-candy sidekick Karen Gillan at a (free!) screening at Village East Cinemas. Whitney Matheson from USA Today’s Pop Candy blog moderates a post-screening Q&A. 7PM.